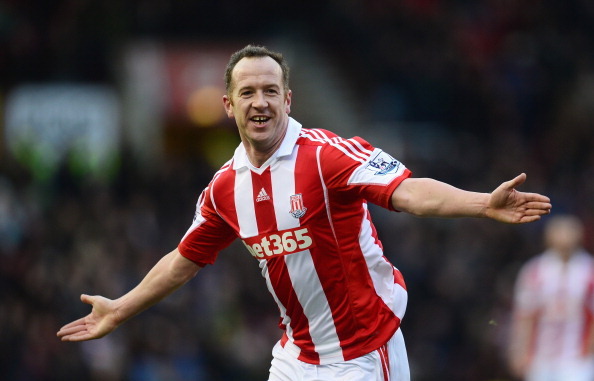 Charlie Adam was the undoubted star, but who else joins him in the Team of the Week? An action packed Premier League weekend saw Arsenal reclaim top spot and Chelsea made it a three-horse race at the top. At the bottom, there was morale-boosting wins for Stoke City, Sunderland and West Ham United. So, who made it to the Premier League Team of the Week, take a look. On the back of the 3-0 win over Fulham, Artur Boruc moved into double figures in terms of clean sheets and is looking increasingly like finally snatching the Golden Glove from Joe Hart. Although the result was comfortable in the end, the Polish shot-stopper had to work hard at the start to keep things level, before the attack took over. With Chelsea set up to counter attack, the onus was on the fullbacks to charge forward and support the attack, in every possible way. And Ivanovic, did that and plenty more. He was a constant thorn in the City defense and was a rock in his. By the end of the game, it was his goal which made all the difference and brought Chelsea back into the title race. In time, this will probably be reflected upon as a game in which two points were dropped by Spurs. But, that shouldn’t be the case, as the game saw witness one of the best displays of defending thus far this season by Michael Dawson. Marginalized by AVB, Dawson showed just why he is one of the best defenders in England with a fantastic display of defensive discipline. One of the main reasons why the Saints are so solid at the back this season has been the form of Jose Fonte. The Portuguese center back reinforced that once again with yet another commanding display from defense as he finished with 14 clearances, five interceptions and two tackles. The marauding Spaniard was one of the biggest positives to emerge out of Sunderland’s derby victory over the Magpies. Disciplined and solid at the back with an ability to emerge out of defense with consummate ease, Alonso proved too hot to handle for the Newcastle side. Playing in an unfamiliar central midfield role, as a result of injuries and suspension, not many expected him to shine. But, on his return from injury, the Englishman showcased his versatility as he excelled alongside Mikel Arteta. His two goals settled the game for Arsenal and the Englishman showed that not only was he great going forward, but can also hold his own defensively as well. Whilst his first goal was somewhat fortuitous, there was no doubt about his second, which sealed Stoke’s first victory over Manchester United in the Premier League. All of Stoke’s attack went through Adam and he proved to be more than capable of holding his own against the reigning champions. With a goal and an assist to his name, F Borini certainly enjoyed playing against a Newcastle that didn’t really look like they wanted to win the game. Nonetheless, the forward put in a wonderful all-round display which also included a clearance off the line to catapult Sunderland out of the relegation zone for the first time this season. Just when West Ham needed him most, Kevin Nolan stood up and scored both the goals against Swansea that sealed all three points for the Hammers. The startling statistic is that he scored two goals from his only two shots all game. Not only was he good going forward, he also made more tackles than any other player on the pitch. Good omen indeed, for the Hammers. Up against the 33-year-old Demichelis, the young Belgian twisted and turned the Argentine for fun and had a field day against City. Although Chelsea were limited in their possession, Hazard made great use of it every time he got the ball, and it was he who started the attack that led to Ivanovic’s goal. On his return from injury, Lambert provided the Saints with some much needed strength up front and walked away with a Man of the Match performance against Fulham. The Englishman played a part in all three goals, scoring once and assisting in the other two. He showed Southampton just what they were missing and the fans would be hoping that there is more to come.